I know some of you reading this are probably not surprised, considering my love for Microsoft’s consoles but the Xbox One X does appear to be a really powerful and compact console. I was pleasantly surprised to find it is slightly smaller than the Xbox One X and vapour cooled (not liquid cooled as I first thought). Even though Microsoft’s E3 show wasn’t the highlight in terms of games this year the fact we finally got a price, release date and name for the most powerful console ever (technically) had me very excited. This looks fantastic and further working off Assassin’s Creed IV’s pirate adventure success. I’m really looking forward to this one as to be able to team up and play co-op in the high seas while looking absolutely stunning is very exciting. I loved Wolfenstein: The New Order. During the Bethesda show they finished on showing gameplay and story elements from the upcoming sequel. It looks fantastic and if they have a story that is as good as the original game I really can’t wait. As much as I hate to say it I actually enjoyed playing Wolfenstein: The New Order more than the latest Doom. Some key announcements during E3 was the fact that Skyrim VR was coming to the PlayStation VR and Doom and Fallout 4 are coming to the Oculus Rift. The Skyrim VR announcement was a huge surprise and a much needed boost for the PlayStation VR. We need to see more of this trend in order for VR to do well. It is all well and good having various VR experiences (extended demos) but having games that traditionally allow you to put hundreds of hours in is where you’ll really start to see your VR purchase as a justifiable one. I know we need to see more on this but the game play demo during E3 really showed some fantastic potential. I don’t know what Destiny 2 is going to be like but I never got into Destiny (despite trying multiple times) because it just seemed so lifeless and without story or character motivation to keep you going. If Anthem can improve on the story elements while providing an engaging solo / co-op experience I will be a very happy gamer indeed. I’m sure you are probably not surprised about this one either but I always get excited when I see a new video showing off a new Forza game. This is even better because it is going to run in 4k at 60fps, plus HDR. Based on the fact that apparently the download for this game is 100 gb in size that would suggest Turn 10 are not skimping on the 4k texture assets too. It was great to see where they are heading for the sequel to a game I have put many hours into. Looking at the cinematic trailer it appears they might be moving away a little bit from the undercover / take down the nefarious car gangs to possibly more of a racing career bent. I think this is a good move. It is also extremely exciting to see that you can race boats and planes in the new game out early 2018 too. Not a lot was said about this during E3 but at least we got the announcement. I like playing some of the classics for nostalgic purposes so having the original Xbox games coming soon to the Backward Compatibility program is great. Apparently they will be putting the ones they release up on the marketplace again. This is very helpful for me because I don’t have any of the disc based games anymore. I know it was only a cinematic trailer, but wow, what a trailer. The fully realised world, the amazing characters we were introduced to. This is one game to keep an eye on. I better go back to finishing the first game now. I got pretty excited when I saw Skyrim and The Witcher 3 come up onscreen during the Microsoft briefing as titles that will be upgraded using the “Power of X”. Being able to play these in 4k without having to upgrade my PC yet again will be great. It remains to be seen but I think this is where the Xbox One X could really stand out from the PS4 Pro, in terms of how well they upgrade the existing Xbox One games. 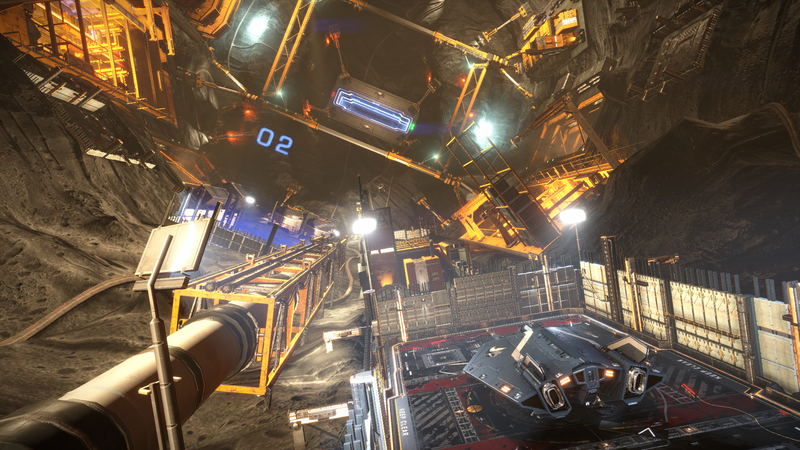 Another game confirmed for the upgrade treatment was Elite Dangerous. I know they have hinted at VR for 2018 but I was still disappointed we weren’t given any idea as to how VR will work on the Xbox One X.
I know Naughty Dog were wanting the Uncharted spin off game to be given all the attention this year but I was still very disappointed we didn’t see a bit more of Joel and Ellie’s journey. While I’m talking about it Uncharted: The Lost Legacy looked pretty average to me and gave me no interest whatsoever in wanting to play it. Maybe Night Owl is right; we don’t need another Tomb Raider. What made Uncharted was Nathan Drake so this spin off seems a bit silly to me. Even a bit more information on this game would have been great but alas, all was quiet on the western front.